To ensure long-term pavement protection, proper preparation and crack filling are essential to your sealcoating application and pavement maintenance plan. 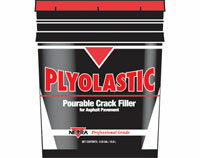 Neyra provides an extended line of crack fillers, primers and paints to meet all of your prep and repair needs. 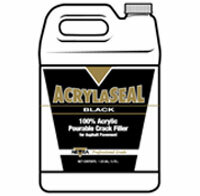 AcrylaSeal is a cold applied, fuel resistant, high solids acrylic crack sealant. It is formulated to be fast setting and remain flexible over a wide range of temperatures. Recommended for asphalt and concrete surfaces. AcrylaSeal provides a tough, resistant barrier against moisture for cracks up to ½” in width on asphalt and concrete pavements. FixMix is a high tensile strength, pigmented, water based, acrylic latex bonding agent. 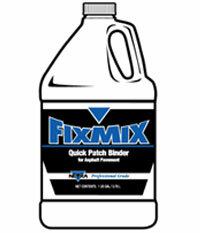 This product can patch new or existing asphalt surfaces. 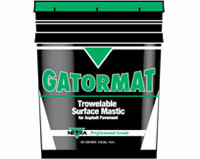 Gatormat is a blend of asphalt emulsion, high molecular weight acrylic polymer; graded rubber and fine ceramic aggregate designed to fill cracks on asphalt pavement surfaces. Plyolastic is a rubberized asphalt emulsion crack filler formulated to be flexible and fast setting for use on asphalt pavements. This product provides a tough, resilient barrier against moisture for cracks up to 1/2″ in width. PLS is a highly modified, single component, hot applied, rubber/asphalt joint and crack sealant. Furnished as a solid, it is an elastomeric sealant which is compatible with and bonds aggressively to dry and clean concrete or asphalt pavements. Spec+Plus is a highly modified, single component, hot applied, rubber/asphalt joint and crack sealant. Furnished as a solid, it is an elastomeric sealant which is compatible with and bonds aggressively to clean and dry concrete or asphalt pavements. Thermoflex is a premium, single component, hot applied, asphalt/rubber joint and crack sealant. Furnished as a solid, it is an elastomeric sealant which is compatible with and bonds aggressively to clean and dry concrete or asphalt pavements. It is effective in a wide range of climates. It is a true direct fire product capable of being reheated and is especially effective under sealers, slurry seals and overlays because it will not bleed through. 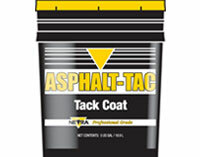 Asphalt-Tac is designed for priming asphalt or concrete prior to asphalt overlay and can also be used for priming prior to installing patches. It is an asphalt emulsion that meets DOT standards for SS-lh and ASTM D977, Standard Specification for Emulsified Asphalts. 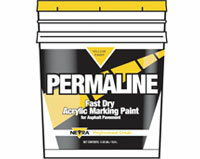 PermaLine is a ready-to-use, water based, 100% acrylic traffic marking paint. Its high solids formula results in longer lasting pavement markings. Permaline can be use as traffic marking of new and existing asphalt and concrete pavements. 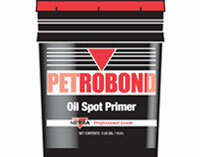 Petrobond is an oil spot primer. It ensures adhesion of pavement sealer to oil, gas, grease and chemical stained areas on asphalt pavements. Petrobond can be a primer for new asphalt patches. Petrobond can also de-tack fresh hot applied crack and joint sealant. It also is a blend of copolymers and surfactants. 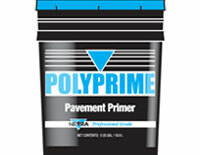 Polyprime is a multi-polymer penetrating primer in concentrated form. This product rejuvenates oxidized pavement surfaces and improves adhesion of pavement sealer. LockDown is a concentrated polymer emulsion. It formulated as a dust palliative and soil stabilizer and provides superior penetration of the surface and binding of fine dust particles. LockDown does not simply fill the voids between dust particles. With the combination of ultra fine particle size, a superior surfactant and high adhesion polymer molecules, LockDown offers better penetration and binding than salt, oil or asphalt based products.